St. Maarten became a separate jurisdiction on October 10, 2010, upon dissolution of the Netherlands Antilles. More specifically, St. Maarten (like Curaçao and Aruba) is now an autonomous state within the Kingdom of the Netherlands, with its intellectual property handled for the time being by the Bureau of Intellectual Property based in Willemstad, Curaçao. All marks registered in the Netherlands Antilles became automatically continued in St. Maarten for the duration of their terms and, likewise, all applications then pending in Netherlands Antilles were continued in St. Maarten. Likewise, International Registrations and applications designating the Netherlands Antilles that were filed before October 10, 2010 were extended automatically to St. Maarten. 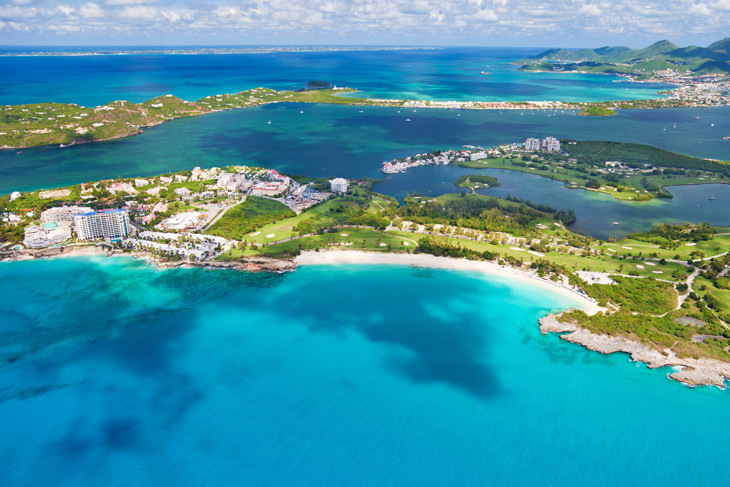 St. Maarten (aka Sint Maarten) is to be distinguished from the other jurisdiction that occupies the other half of the same island: St. Martin, which is part of France and is covered by a registration in France and/or a CTM registration. The applicable trademarks act provides for registration in St. Maarten of trade and service marks in all International Classes, governed by the Nice Classification system. International priority is available and prior use is not necessary. Registrations extend for a period of ten years, running from the date of application, and renewals are for like periods of ten years. The official languages in St. Maarten are Dutch, Papiamento, and English. Further information is available in the two articles (Article 1, Article 2) published by this firm, one in the April 2011 issue of the INTA Bulletin and the other in the March 2011 issue of theITMA Review, published by the Institute of Trade Marks in London. History: St. Maarten is located in the northeast Caribbean Sea and is part of a divided island with Saint Martin. Originally inhabited by the Arawak tribe, St. Maarten was first called Sualougia, meaning Land of Salt for its copious amount of salt. The Arawaks were taken over by the Caribs who lost the island to the Spanish. Christopher Columbus claimed the island on November 11, 1493 and named it St. Maarten after the holy day of St. Martin of Tours. The Spanish eventually left the island which allowed the Dutch to insert their presence. Spain retaliated but St. Maarten was finally left to be claimed by the French and the Dutch after the Eighty Years’ War between Spain and the Netherlands ended. The island was divided in a treaty between the French and Dutch, creating St. Maarten and Saint Martin. The capital is Philipsburg and the official languages are Dutch and English. With two-thirds of the island being under French control and the other portion belonging to the Netherlands as an independent country, St. Maarten is a very small island with two international airports. St. Maarten’s economy is driven by tourism with millions of tourists being brought to the island by cruise ships and hundreds of thousands of people arriving by air. 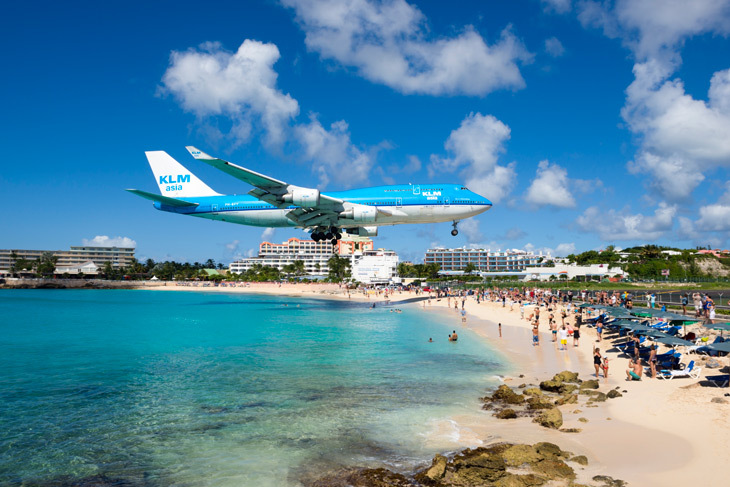 Maho Beach, one of the most famous beaches on the island, is located at the base of one of the airport runways and is known for airplanes to begin landing only meters above beachgoers. The island is also home to Simpson Bay Lagoon, the largest lagoon in the West Indies.